EghtesadOnline: Cryptocurrency transactions in Iran have significantly declined since April when a blanket ban came into effect. As Sepehr Mohammadi, chairman of the Blockchain Association of Iran, pointed out on Friday that since cryptocurrency transactions were outlawed in Iran and moved underground, it has become impossible to get a clear image of transactions through online exchanges. “But we can announce an estimate based on figures, which shows about 1,000 Bitcoins were transacted in Iran per day before the ban while the number has now declined to about 300 per day,” he told IBENA. Shortly after the Iranian government unsuccessfully tried to fix the US dollar’s exchange rate to shore up the rial late April, the Central Bank of Iran implemented a directive that officially prohibited all financial institutions, including banks and credit institutions, from handling crpytocurrencies, according to Financial Tribune. The decision was made by the High Council of Anti-Money Laundering for preventing a further capital flight. Mohammadi said the decision created many challenges and limitations for Internet businesses that conduct their operations based on cryptocurrencies. “The hasty directive meant that crypto-based businesses had to face serious disruptions as many of the websites that facilitated the purchase and sale of cryptocurrencies were blocked and crypto exchanges had their online gateways closed,” he said. The official stressed that this created a black market that gave rise to fraud in the sector. 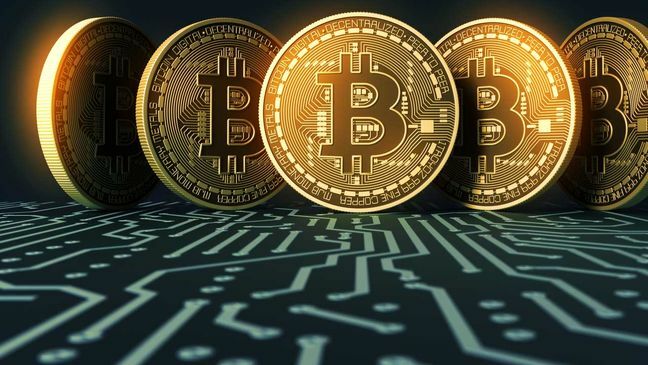 According to Mohammadi, the directive also prohibited the legal import of cryptocurrency mining gear, disrupting operations of miners. The equipment included application-specific integrated circuits, or ASICs, that are built into specifically-designed motherboards and power supplies and constructed into a single unit for cryptocurrency mining. The general expectation is that the declining trend concerning cryptocurrencies in Iran will be reversed in the foreseeable future, as high-level officials have increasingly become acquainted with the need to employ them to foster the economy and circumvent returning US sanctions. CBI has on multiple occasions announced that it will publicly disclose its regulatory framework concerning cryptocurrencies by the end of the first half of the fiscal year (Sept. 22). The framework is expected to reverse the blanket ban and recognize cryptocurrency use as legal. As Mohammadi said, the expectation is that “correct and calculated measures are implemented in the cryptocurrency market that include the legalization of trade in certified exchanges under the supervision of CBI”. Abolhassan Firouzabadi, the head of the High Council of Cyberspace, announced early September that the government had recognized cryptocurrency mining as a legal industry. He also pointed out that the idea of legal cryptocurrency trade in certified online exchanges is under review. A week ago, Firouzabadi announced that the import of cryptocurrency mining hardware will become legalized. Mohammadi also referred to Iran’s budding national virtual currency being developed by the CBI and the Informatics Services Corporation, an executive arm of the monetary regulator in charge of operating the country’s payment systems. He said the country will face many challenges in the future, if the government makes yet another misguided attempt at monopolization. “There is no completely successful example of a national virtual currency in any country, so Iran’s national virtual currency can only be successful if the private sector will have predefined frameworks to use it as an economic leverage,” he said.